The RVSL Steelhawk™ is made with A60 Galvannealed Steel for optimal corrosion resistance, and steel diamond plated floors for better grip and slip resistance. The Steelhawk™ is up to 700 lbs lighter than other RVSL truck bodies without compromising the functionality or durability. That saves you real money on fuel without impacting your ability to get the job done. Backed by Reading Truck’s legacy of service, the Steelhawk™ has a comprehensive six-year structural warranty and a three-year coating warranty. 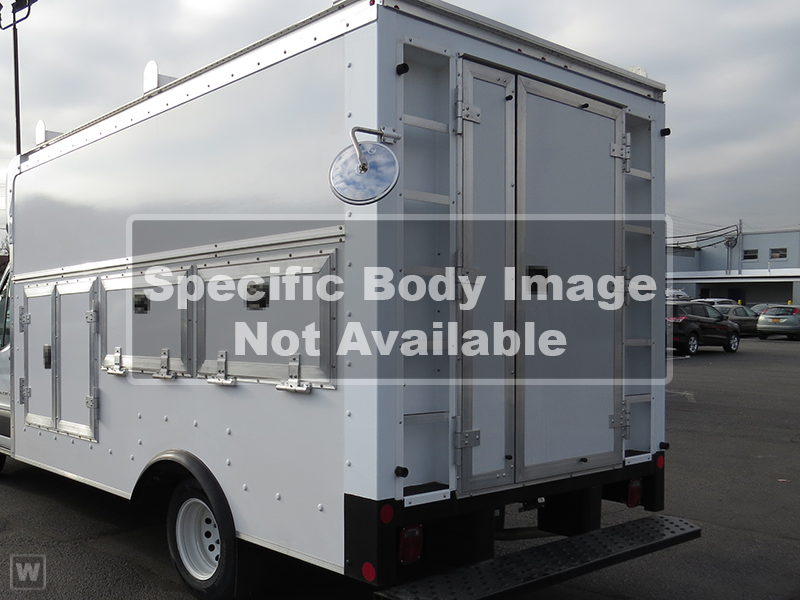 Designed for Ford Transit cutaway chassis.